January 20-21, 2019 Full Moon Total Lunar Eclipse in Leo of Awakening Creativity! ? 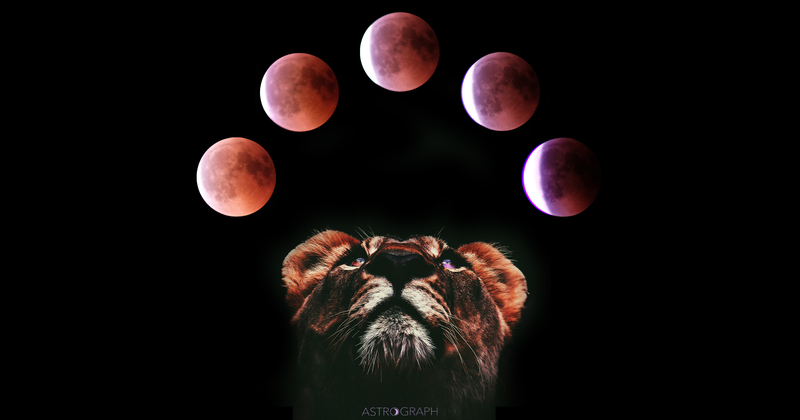 The Full Moon Total Lunar Eclipse in Leo that graces the skies on January 20th – 21st, 2019, full exact at 9:16pm Pacific time on 1/20/19 (12:16am 1/21/19 EST), comes with certain fascinating and potent astrological configurations. To begin with, due to taking place in the very first degree of the Sun’s and Moon’s respective signs of Aquarius and Leo, it brings our awareness to the symbolism of Leo, which invites each of us to roar with any aspects of self that crave bold expression, creative flow, and fierce individuality. The Aquarian solar energy, on the other hand, offers us eagle vision that sees the big picture, and is concerned with advocating for the highest good of the community. We are thus being called to put our individuality on the line in our most creative way, in service to the society that surrounds us. When we add to this notion a whopping dose of Saturnian Capricorn energy brought in with the recent New Moon and Solar Eclipse that started off the year and provided a structured approach for getting very precise and practical with our goals and our vision for this life, we have a potent recipe calling each of us to step more deeply into alignment with our most beautiful and integrated expression of Self – our True Essence. Why are the Lunar Eclipse energies important for us to be aware of? Lunar Eclipses occur when the Earth passes between the Sun and the Full Moon, so that we observe the Earth’s shadow cast upon the face of the Moon. Metaphysically it is a powerful time calling each of us to become aware of our own ‘earthly shadow energies’ that we harbor within our self or that block the brilliant Light of our own true essence from shining fully in our own lives. In zodiacal terms, the Moon is always exactly opposite the Sun at the time of a Full Moon. During this Lunar Eclipse they span the Leo-Aquarius axis, and contributing to these energies… the surprising trickster energy of Uranus is also powerfully positioned in this Lunar Eclipse chart, at 28° Aries, thus at nearly 0 Taurus, making a very close T-Square to the Sun and Moon. Uranus is the “great awakener and liberator”, and one of the mechanisms of the Cosmic Wisdom of this energy is to help stir up and shake away all things in our lives that no longer fit with our aligned path and purpose. Just as it sounds, this process can certainly feel stormy, chaotic and quite disorienting. However, the effect is that after the storm has passed we can come away with ingenious new insights, a better sense of our gifts, qualities and abilities- and a clearer sense of Purpose, Presence of Self, and a renewed sense of vitality . While it may be challenging at times to get in touch with the greater intelligence and brilliance of how life is unfolding during these times (and how lucky we are to alive in these times to experience it), it is often in hindsight that we can come to see that all events have been conspiring toward our greatest, highest good, and that the necessity of being present with the more painful aspects of it were in service to that process. As life shifts and reorganizes, we benefit when we can become more expansive in our perceptions to see the big picture, and simply surrender to what we find ourselves in the midst of. The secret of change is to focus your energy not on fighting the old, but to energize building the new in your life and the world at large. Also at 28° of its sign is Chiron in Pisces, thus creating a grand trine with Ceres at 28° Scorpio, and the Moon at 0° Leo. Chiron, the Wounded Healer, represents an infinite spiral of healing: becoming present with pain, encouraging us to offer to our inner pain and fear our fullest love, Compassion, and acceptance to allow us to reintegrate the wisdom of the wounded place back into the wholeness of Self. This process, while more easily said than done, offers to us tremendous supportive energy that is available to us all now for healing of all kinds. 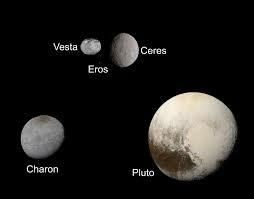 The asteroid Ceres (currently considered a “dwarf planet” along with Eris and two others) is a feminine archetype of the harvest; in addition, her mythology symbolizes knowing great loss and grief. She represents the need for balance of wellness and healing we each must tend to within ourselves before we can truly offer our loving support to others in the most useful way. She also shows where and how we receive and offer nourishment – physically with food or nutrition as well as energetically and spiritually. The Sun at 0° Aquarius completes the picture of this powerful planetary patterning with Chiron and the eclipse Moon, marking the eclipse Sun as the point of a grand kite formation. This is quite a potent configuration, and doubly so when it contains an Eclipse Full Moon! Both of these archetypes combined in such a powerful kite formation with the Sun and Moon at eclipse are truly magical. They ardently communicate to us just how important it is that we each focus on our own healing journey. We are summoned to cosmic process, and to really pay attention filling up our own metaphysical cups so we can approach that process from a place of power and resource (rather than from a place of powerlessness and victimhood). 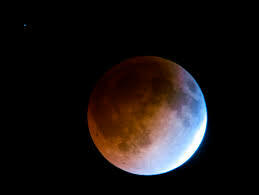 How Can Each of Us Utilize the Lunar Eclipse in such proximity to the recent Solar Eclipse? Ask yourself and your Soul how you may best fill your cup in a way that nourishes your body, mind, heart and soul. Perhaps a nice bubble bath with music, candles and meditation? A walk alone in a beautiful plnature? Laughing and getting crazy with friends? A long and glorious night of sound sleep? Painting? Dancing? A delicious meal cooked with love? When you ask yourself how you can fill yourself with joy, love, and vitality in simple ways, you give yourself the gift of flexibility, because your needs may change from moment to moment – especially if you do your inner work of letting go of the thoughts, fears, environment, and people that no longer assist you with stepping into the Light of your True Essence and ability to clearly see the big picture. This powerful Eclipse formation also has a strong component of transformative Pluto, reminding us that we must continue to let go, and then let go again, of outmoded habit patterns and even possessions that are no longer serving us. The icing on this Eclipse cake is Mars, in his rulership in Aries, making a trine to Venus conjunct Jupiter, while Jupiter, in his own rulership of Sagittarius, is making his own square to Neptune also in HIS rulership!! This strong presence of Neptune presents idealism with the potential for confusion, and yet also gives our whole entire situation wings to soar on. With this archetypal blend engaged, you will find hope, love, the recognition of intrinsic value in each and every being that you encounter, and spiritual connection. Along with this you find as well, with Mars, the internal fire or passion to put it all into your power to effect change, by applying your will power, action and choice. Your trick will be to continually look for and build energetic bridges from idealistic dreams, to taking very real action in the direction of what you most value and want in your life. This is the ancient mystical path to truly creating the life you desire to live – and why we have written books to keep you from self-sabotaging (“Bye-Bye Self-Sabotage” being the latest)! During this Full Moon Eclipse, may we dare to roar greatly – to be bold and vulnerable in our both our expression and creativity. May we witness the beauty of ourselves as an intrinsically valuable part of the greater Cosmic Whole. May we be compassionate and open in our approach as the Cosmic Wisdom of life works to unwind and liberate us from the pain and shackles that have bound us to our inner fears. And may we be open in these energies now available to us to experience aligned clarity and strength in our choices and actions, surrendering into grace and trust amidst stormy seas.